Explore the wonders of the living world  from Anatomy to Zoology. Studying the science of life itself means exploring a world of possibility. 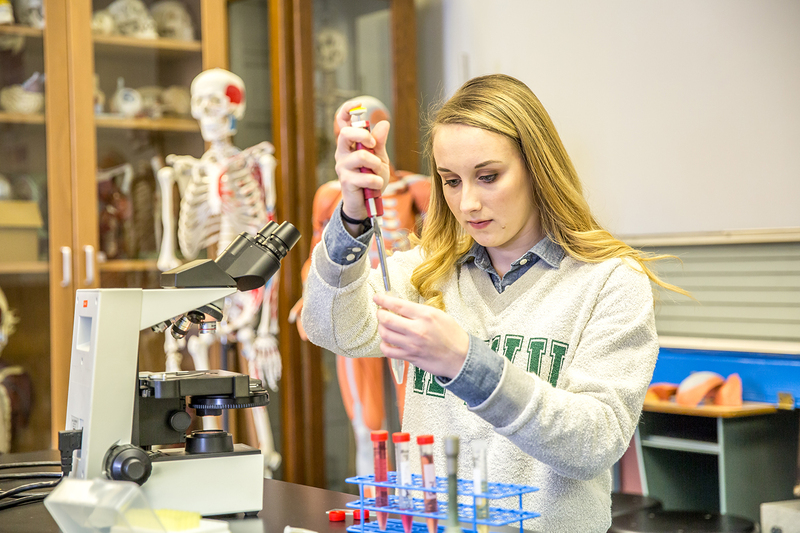 Whether you want to go into any of the health professions, research, industry, business, agencies, teaching, or virtually any career that requires you to solve problems, a bachelor’s degree in biology is a great place to start. Studying biology at William Woods University means sequencing DNA in our Genetics Lab. It means working directly with a faculty member on real, applicable and life-changing research. In addition to immersive knowledge in biological sciences, students acquire hands-on, practical experience in laboratory and field settings. Our Bachelor of Science in Biology is intended for students with health profession goals. We offer pre-veterinary, pre-medicine and pre-nursing concentrations for students interested in pursuing advanced professional degrees, including veterinary, human medicine, pharmacy, dentistry, physical therapy and other allied health fields. William Woods University has experienced a 100 percent acceptance rate for students who have applied for advanced professional degrees in veterinary medicine, medical school, pharmacy and physical therapy doctoral programs. Our Bachelor of Arts in Biology is for students interested in other areas of Biology that might lead to a career in research or an applied field; the B.A. degree is flexible and can be tailored to your specific interests. Dr. Spratt and the biology department prepared me to handle every challenge I encountered in my post-graduate studies. I had a strong advantage over other students. William Woods University played an integral role in not only my acceptance into veterinary school, but also in shaping me into a capable, confident veterinarian. The biology program at WWU features some of the best professors I have ever had the opportunity to work with. They are genuinely interested in each student's individual success. — Christy McPherson DeMarco, D.V.M., William Woods University alumna who studied at the College of Veterinary Medicine at the University of Missouri, now a veterinarian in Liberty, Mo. A continuation of the introductory physics sequence which covers topics in electrostatics, magnetism, optics, and modern physics. Fundamental concepts from Physics I are described in greater complexity. Students are expected to apply their understanding of energy, mass, force, and inertia to more advanced problems involving atomic systems. Demonstrations and computational simulations are used to increase conceptual understanding. Concurrent enrollment in PHY 213. (Lab Fee) Prerequisite: PHY 201. 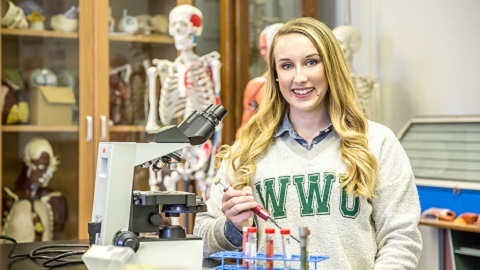 The Bachelor of Arts in Biology degree at William Woods University consists of 122 distinct credit hours for graduation—including 28 core major credits and 22 required elective credits. 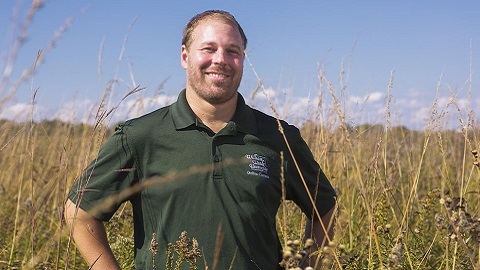 The Bachelor of Science in Biology degree at William Woods University consists of 122 distinct credit hours for graduation—including 36 core major credits, 4 required field course credits, 16-29 concentration credits, and 11 upper level electives. What can you do with a degree in Biology? The possibilities are endless, according to Robin Hirsch-Jacobson.